Kitsap Peninsula has thousands of acres of forested lands, open spaces, wildlife and birding habitat to be enjoyed year-round. Below are just a few ideas of things to enjoy while visiting the Kitsap Peninsula's Parks & Trails. Check out all the parks where you can play AND stay! Spend a day, spend a week — the exploration will never end along our 371 miles of shoreline. The Kitsap Peninsula Water Trail was officially adopted as a segment of the northwest Cascadia Marine Trail and is now listed on the WWTA website. 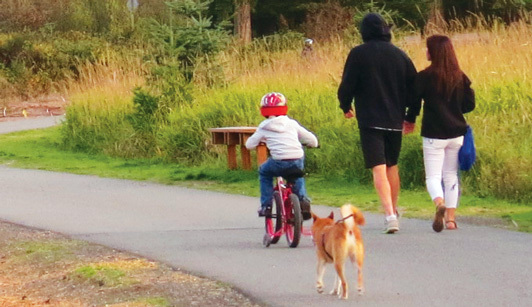 North Kitsap Heritage Park on Miller Bay Road in Kingston is just one of the many popular destinations that hikers, mountain bikers and runners can enjoy on the Kitsap Peninsula. It includes 799 acres of woods and wetlands and half a dozen looped trails. Leashed dogs are welcome. 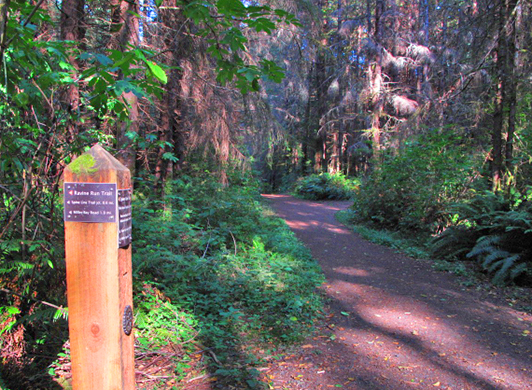 Click here to do a search for public trails and parks on the Kitsap Peninsula. The Kitsap Peninsula has city, county and state parks that offer visitors a wide range of activities and amenities for use year-round. All city and county parks are free and open to the public during posted hours. Please help us maintain our parks and reduce costs by adopting the "Carry In & Carry Out" policy for yourself, family and guests. For information about Washington State Parks and to make reservations, please visit the WA State Online Reservation Service or call 888-CAMPOUT (888-226-7688). 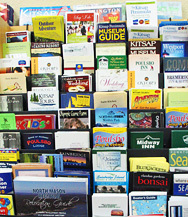 Click here for information about where to purchase a WA State Parks Discover Pass. The Kitsap Peninsula is home to one of the most impressive skate parks in the region. Nearly 3,000 people attended opening day, and it continues to attract users from around the region. The skate park is located at South Kitsap Regional Park and includes ball fields, trails and restrooms. The Billy Johnson Skate Park is another Kitsap Skate Park located in Kingston.